A mother asked what my opinion is about rewards. This is one of those global questions parents often ask, such as should you pick up a child who is having a temper tantrum or leave him alone? When should you start toilet training? What should you do if a child doesn’t listen? Questions like these suggest that there is some right answer which will solve whatever the problem of the moment. Much popular writing about child rearing suggests that there are such “right” answers, which if followed will produce the desired outcome. But the wish for such answers also reflects the uncertainty that parents often feel in the face of children’s behavior in various situations. Parents want to respond in constructive ways that will be positive for children’s development but also would like to resolve areas of conflict that arise in child rearing. 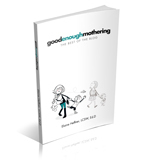 It is comforting to think that there is some approach out there that can accomplish one’s goal as a parent – painlessly or easily. Unfortunately, there are no universal answers or methods. We have to start with other questions: who is the child? What is the situation you want to address? In the instance of this mother, the question turned out really to be about sibling rivalry between her three year old and not yet two year old girls. Mom had been using stars as rewards in an attempt to manage the conflicts that erupt between the girls when playing together. Her question about rewards reflected her concern that although her method was helpful at times, she felt as though she was using bribery to bring about compliance and had her doubts about the desirability of such an approach. Often when parents raise questions about conflicts between their children, they begin by telling me how much the children love each other. There seems to be a great investment in the idea that children should love each other. The problem is that they may love each other but they also hate and resent each other. Responding in a helpful way to behavior that expresses the negative feelings is made more difficult if we feel there is something shameful or unacceptable about such feelings. This may play out as being critical of the older child for not being more tolerant of her younger sister, or reprimanding the younger child for taking her older sister’s toys. In either case we end up addressing the behavior while ignoring the feelings. The message children take from this is that they are bad for having such feelings. It is hard to learn how to deal with your feelings if you think you are not supposed to have them. In the issue at hand, another aspect was the question of expectation. How reasonable is it to expect young children – one younger than the other – to play together cooperatively without adult supervision? The pressures of life being what they are, it would be so helpful if children would just play “nicely” together while we attend to other chores – helpful but not realistic. Ultimately, it is more helpful to forgo that expectation and think through REALPHARMACYX.COM other ways of managing two children – such as providing an activity for one while keeping the other by your side. It is clear that the question is not about rewards after all. We all like to be acknowledged for a job well done – or for mastering a difficult challenge. This is true for children who respond positively to meaningful praise from their parents. That is the reward they seek and the reward that can motivate their behavior. The goal is for them eventually to develop their own inner standards for behavior and along the way a concrete reward may be helpful now and then. But rewards do not address the underlying issues raised by behavior that parents are trying to resolve. In the end, it comes back to parents knowing their children and using their own judgment – accepting uncertainty about the outcome.